During the cold winter months, freezing temperatures from the outside creep into your home and can settle onto your floors, making it very uncomfortable to walk barefoot in your own home. Tired of investing in failed heating systems that only tend to warm up small sections within your home? Looking for a heating system that provides warmth throughout the entire home? Warm up your floor with radiant floor heating! At Argent Heating & Cooling, an HVAC company in the DC metro region, we offer radiant floor heating installation that can help your home stay warm year-round, especially during the colder seasons. Radiant floor heating systems are installed through plastic tubing (PEX) underneath your home’s flooring. These plastic tubes generate heat either continuously or according to your personal settings, such as during a certain time of day. These can be used in one isolated area or room of the home, such as a kitchen, or installed throughout the whole home, such as the entire first level. As an HVAC company in the DC area, we have the option in providing air, electric, or hot water radiant floor heating to meet your needs. Noiseless and Controllable: These radiant heating systems are noise resistant and give you the option of setting and altering heating temperatures. Energy Efficiency: According to the Department of Energy, radiant floor heating systems serve as a direct heat source as heatwaves travel through the entire floor surface from underneath your home. Gas and electric rates continue to skyrocket, but radiant floor heating systems are designed to be energy-efficient and help you save on your monthly energy bill. Limitless Design & Customization: As radiant heating is installed under your flooring, this invisible energy efficient system allows you to add an extra heat source without affecting your interior design. In addition, DC metro region radiant flooring systems can be installed in several different locations within your home such as your kitchen or living room and set to different heating temperatures based on your individual preferences for each room. Two Heating Methods Built for Your Needs: Radiant floor heating systems can be either electric or hydronic. Electric: This common radiant heating choice consists of electricity-generating thin heating cables installed under ceramic/wood tile flooring. Hydronic (hot water): Is the most popular radiant floor heating option. In hydronic systems, water heated by a boiler travels through designed tubes under the floor. This system allows you to control the boiled water temperatures. Whichever system you select, they each distribute as an additional heat source and invisible comfort. When you are ready to warm up your home, trust a professional for expert radiant floor heating installation! 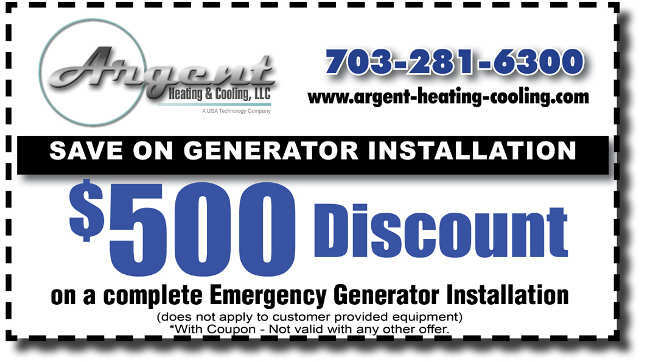 Argent Heating & Cooling offers radiant floor heating installation in the DC metro region. Our team of floor heating professionals can help you assess which floor heating works best for you, and will install your system quickly and properly to ensure your home receives the comfort you need. Our floor systems are built to last, so you can be sure you and your family will stay warm for a long time to come. Are you looking to warm up your home? Don’t hesitate, contact us online or call us at (703)-281-6300 today! Spring is just 1 WEEK away! Make sure your cooling system is ready to go by having a maintenance check with Argent! Call today at 703-281-6300! Cool down with our Summer savings on all Seasonal Maintenance Plans! New contracts start at $175 per HVAC system (plans normally start at $210). Call in to our office at 703-281-6300 today!